A very popular local fish shop (LFS) among fish hobbyists in Singapore,Clementi Florist and Aquarium or what it is known today to many as C328, started up their humble business in 1984 retailing in just flowers, bird cages and tropical fishes of all sorts. The shop which is a family run business was managed and anchored by both Mr Toh and his brother. 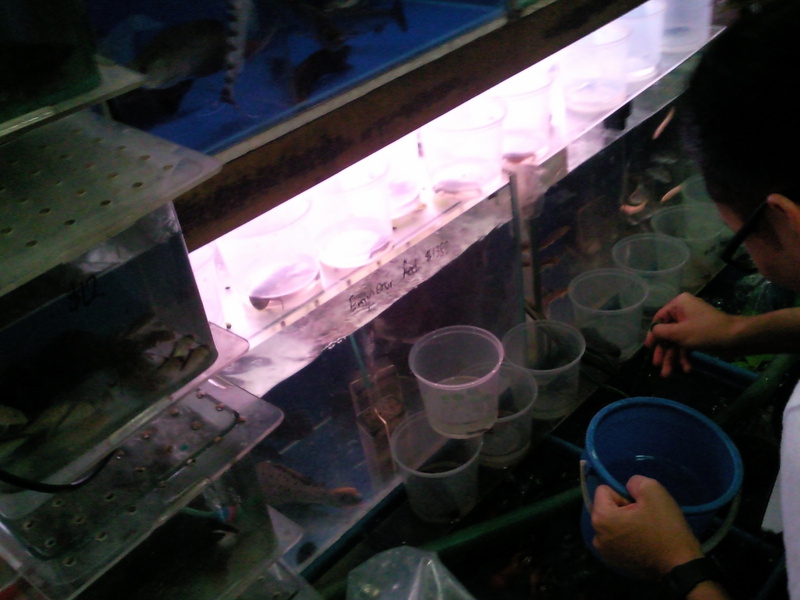 It is during this initial stage that Mr Toh started toying with fishes and hence begin to learn about tropical fishes. His hard work and perseverance paid off for his exposure to the different types of tropical fishes and the knowledge that he gained from the very beginning in this fishy business thrived as noticed by the number of customers patronising C328 increased over the years. Today, C328 retails in more variety of product related to aquaria. From a whole range of fish foods, to medication, filtration systems, tanks and even arowana, C328 is in fact a one stop place where hobbyist could obtain what is needed all under one roof. Many different range of accessories are easily available. Probably the best and longest surviving business in the whole of Singapore lfs, this local fish shop (LFS) has not changed much over the years except that more products can be seen and customers flocking to them are on the rise. Even the face of the lady boss looks pretty much the same as 15 years ago - back when I was a teeenager. 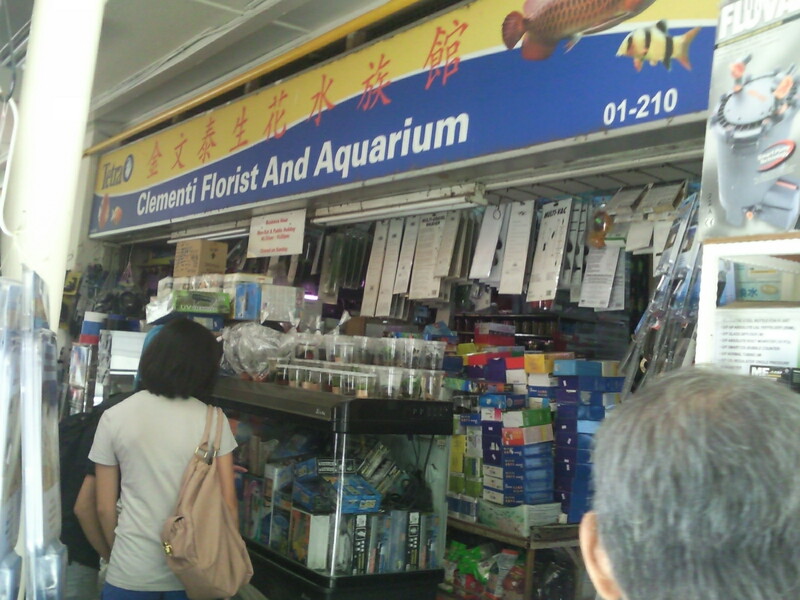 Prices of live stocks, fish food, medications, pumps, lights, water plants, gravels in C328 are the cheapest (price check almost in whole of Singapore lfs). If you do notice there's a lfs about 5 shops away (name: Polyart) , C328's prices are anytime 10% to 30% lower to theirs. 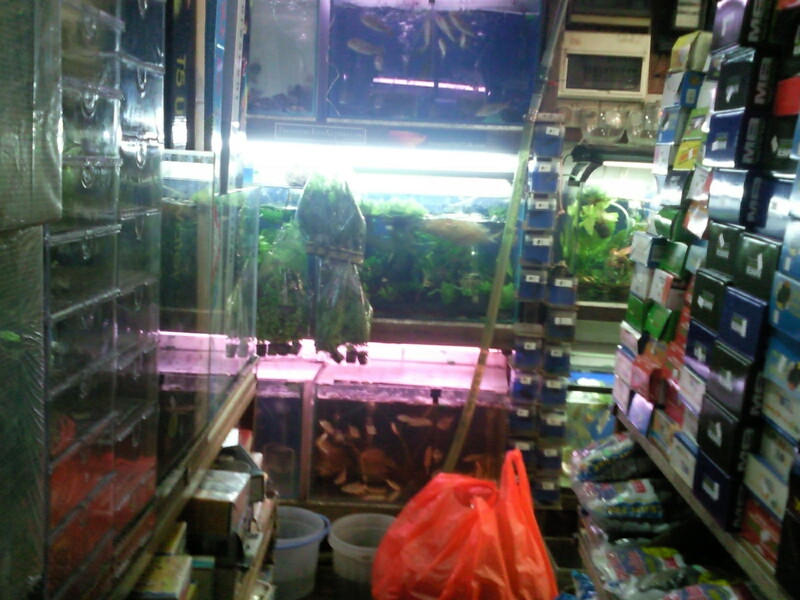 I even have a retiree buddy who will faithfully come down every 2 weeks from his Jurong West hdb flat to top up a bottle of Tetrabits Complete pellets for his pet Discus every forthnight as it is $2 cheaper here (S$8 elsewhere). 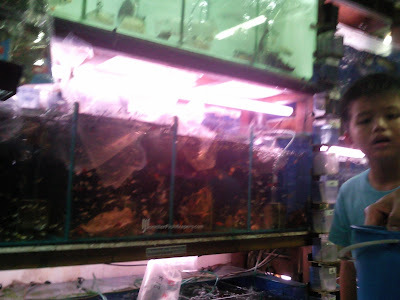 He really enjoys shopping at this place very much as there is a wide variety of fishes and water plants to choose from and can meet his tight budget . Walking spaces in C328 are getting "tighter" over the years as more products are added in, it is not uncommon to knock into another person and saying sorry to the victim afterwards. 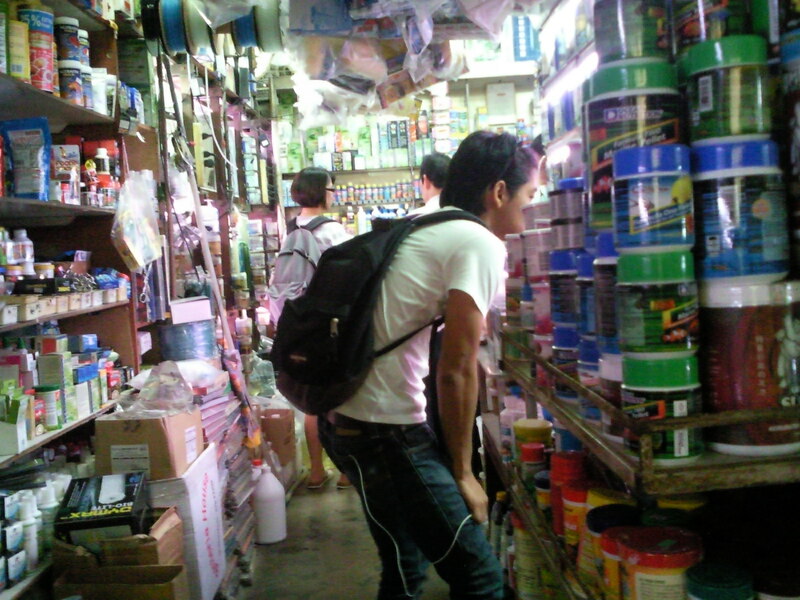 A give-and-take attitude is important over here as space is constrain and there are many people in the shop. Sometimes, I am concern about what happens if there are any emergencies like fire, can people run out in time? But so far nothing of that nature has happen, so worrying about that is futile. Just enjoy our shopping there. The fastest way to complete your purchase is to come at their off-peak hours that is around 11am-12noon , 2-4pm. Knowing and getting familiar with how C328 allocate their products is also good since the workers and the bosses are not always available to tend to our enquiries. Even though most of the prices of fishes are scribbled on the glass of the repsective fish tanks, it's good practice to confirm with the workers the sale price unless you already know from past purchases. 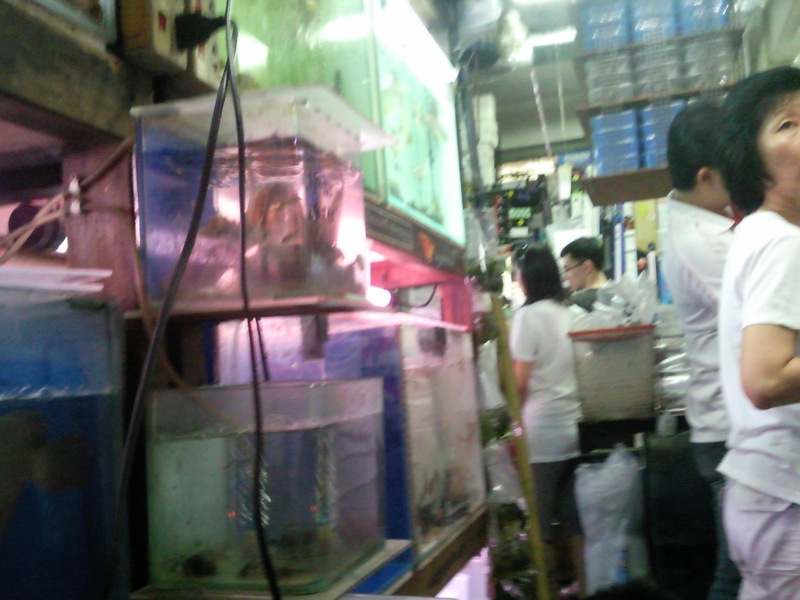 On your right side are the water plants, discus, oscars, many kinds of tetras, goldfishes, arowanas, bumble bees, mini puffers, sucker fish (floor area). 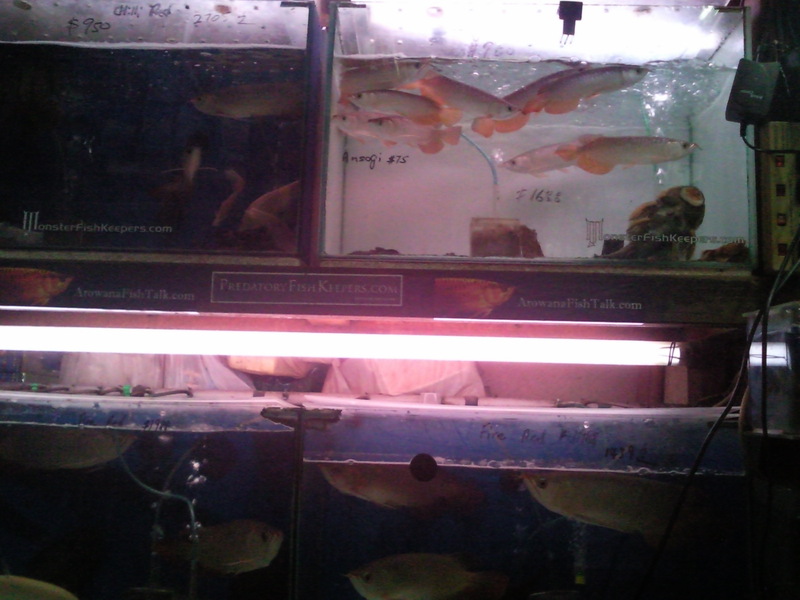 On you left side are the cichlids, guppies, cardinal tetras,red parrot, gouramis, angels,shrimps, bettas, water snails and other exoctics. 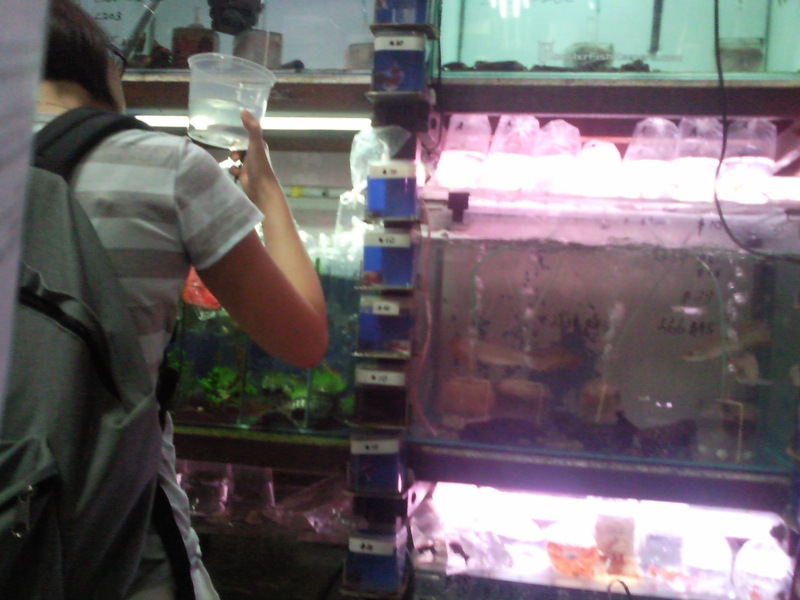 Additional modifications are the wooden racks that look like Hdb units with tiers of mini fish tanks that houses guppies,bettas,shrimps and snails, located near the front desk cashier. More recently, C328 have also employed 2 to 3 more workers to help them handle the increasing work load. CCTVs are installed all around the important sections of shop, especially the arowanas department. The CCTVs are there probably due to an arowana theft incident that took place many years ago. 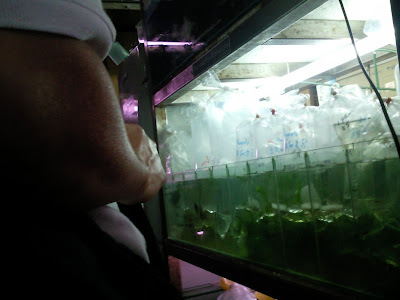 The arowanas are like gold commodity to C328. Mode of payment is through cash or Nets if you do not have enough $. Usually I prefer cash as we may not know when the next electronic system breaks down. Keep right and walk straight ahead to blk 328. Certain products and not all products are the cheapest in C328. 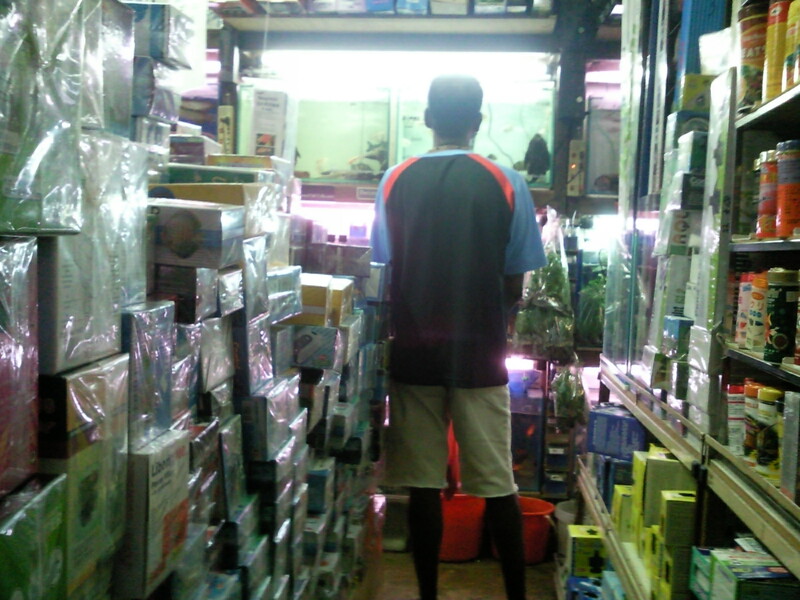 The shop needs a facelift, as it is too untidy, stuffy and squeezy for customers' comfort and point of view.